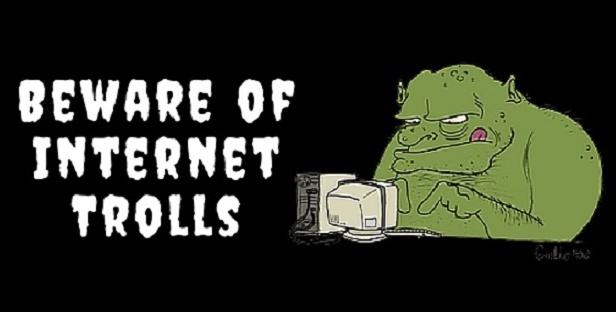 Beware of Internet Trolls | BMT Micro, Inc. There is a particular beast out there that every online business should beware of. This beast enjoys creating conflict on the Internet and is fueled by arguments it creates in online communities. It craves attention from others and will do anything just to get a reaction from someone. Encountering one can be a disturbing and even frightening experience for a business that has never had to deal with a beast like this before. But being able to identify an Internet troll is half the battle and learning how to deal with one is an important skill for any online business to master. As we mentioned before, a troll is someone who craves attention and feels rewarded when they create any sort of altercation. Trolls view blogs, chat rooms, forums and social media as a challenge to create the biggest argument or upset the most people in a dramatic way. The main tool of an Internet troll is accusation. They will turn your own words against you and twist your statements to cause any sort of disruption. This is why an online business must be strategic when getting involved in any sort of communication with a troll. Any time you give a troll attention, you are giving it exactly what it wants and run the risk of tarnishing your brand or online presence. Since a troll’s ultimate goal is to get attention, simply ignoring them could be your best tactic. It is proven to be effective because when the troll does not get the response or reaction they are seeking, they will most likely go away on their own. So if you find yourself under a troll attack, just ignore it. If you become a target of rumors or misinformation that is spread by an Internet troll, your first reaction may be to fight back. But if you choose to respond to a troll, the best way to do so is with facts. Keep your remarks to an minimum, state your facts and move on. Don’t respond in anger or with any emotion. Most of the time trolls are just looking for a reaction and will thrive on any kind of negative attention. Usually there is no point in trying to reason with a troll but if they are being particularly offensive, you can also delete their comments. It’s best to use this tactic as your last option because by deleting their posts, you are giving them a reason to come back and publish another comment. Sometimes your business may not need to be the one who fights a troll. If you have a loyal online community or fan base, there is a chance they may take matters into their own hands and fight the troll off. The bad news is if your audience is not familiar with the art of battling Internet trolls, it is possible for this tactic to get out hand. So as an online business you will need to closely monitor the conversations of your followers and fans in your online communities. Be an active member in your community so your business can step in if trolling gets out of hand or becomes a problem. Is an online world without trolls possible? Probably not since trolls gravitate to anywhere online users interact. Even though you cannot control whether or not you will become a troll’s target, you can decide if you will become a troll’s victim. Knowing that a troll is only seeking attention, the most important thing for a business to remember is to not feed the troll. Trolls feed on your response and their only purpose is to antagonize and cause trouble. If you make this mistake it will only lead to engaging in an unwinnable, argument that only intensifies the more you “feed” it. Does your business have experience dealing with Internet trolls? Do you have any magical tactics to fight them off? Feel free to share how your business handles Internet trolls by posting in the comments!